National Rural Livelihoods Mission (NRLM) / Aajeevika has a mandate from the Government of India to ensure that economic growth in the country is inclusive and it leads to significant reduction of rural poverty. The NRLPS, as the implementing organisation, has focused to build strong institutional platforms of the poor communities, which enable them to build their resources (human and social), and effect convergence with other government programs to improve the quality of life of poor populations. To advance its mission, NRLPS has set up a dedicated multi-level support structure, which includes a National Mission Management Unit (NMMU) at the center, and State Project Management Units (SPMU). A cadre of community resource persons is also being developed to facilitate the formation of and support for self-help groups (SHGs). The Bill and Melinda Gates Foundation has supported development, testing, and scaling-up innovative solutions to transform health and nutrition services in the country, for improving survival and health for women, newborns and children. In 2013, BMGF was chosen by the Government of India as the lead development partner for the state of Bihar in their new RMNCH+A program. CARE India with support from BMGF is providing a Technical Support Team on Health to work in direct collaboration with the National Mission Management Unit (NMMU) of the NRLM, comprising five technical specialists. 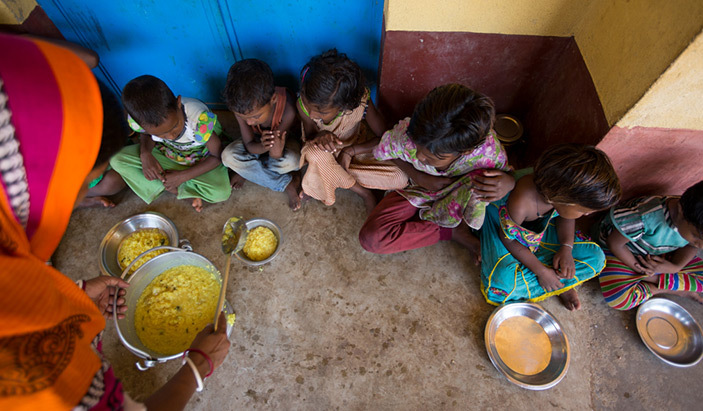 The Goal of the three-year project is to support the NRLPS to strengthen health and nutrition strategies in its programming with community platforms, particularly in Bihar and Uttar Pradesh. The Technical Leads for Health and Social Inclusion would be part of the Core Team of NMMU, and those for Monitoring Learning and Evaluation, Capacity Building and State Anchor would be part of the respective technical teams in NMMU. The State Anchor position is in hold for the time being and is planned to be in place on clearance from NRLM and BMGF. A committee is formed to jointly understand the progress and learning related to health and nutrition outcomes periodically. The committee would work under the guidance of the Mission Director and would be instrumental to plan and sustain integration of health and nutrition in NRLM. In its role of strengthening health and nutrition strategies in community platforms, CARE India will initially focus on Bihar and Uttar Pradesh. NRLM has categorised the states and has 5 advanced states which includes the states of Andhra Pradesh (including Telengana), Tamil Nadu, Kerala, Maharashtra and Bihar. The CARE India’s NRLM team is working in these states to take out successful models and develop strategies to work in the 8 most backward states suggested by NRLM.